Monday evening: After 4 days without the any precipitation the late afternoon thunderstorms are back. At first it looked like I needed to pack my things back into the boat around 4 p.m. But they were hitting to the east and the west but did not open up on me till 5 p.m. I managed to get my end of the day epoxy layer on the bare spots. On the way out, on the newly asphalted road, the steam was rising from the cool showers hitting the sun baked surface. me for a dinner here tomorrow evening where he is going to grill the veal. They also had a fresh caught bass like fish, from the Danube, it is at least 24 inches and must weigh 20 plus pounds. Yesterday, Sunday, evening I was offered to share dinner with the Chinese group of about 8 who stay at the hotel where I was earlier this month. They work at the Bio Fuel plant which a Chinese company installed for Inter Agra, here in Zimnicea. 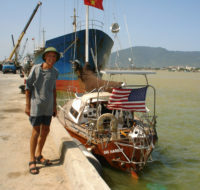 There is a smaller group of Koreans who have a contract with Zim Tub, where I work on my boat, and which is also owned by Inter Agra. dumplings, with chopped fresh vegetables and beef inside, dipped in a soya/garlick sauce. And they had a superb fish soup. Hau Tschuh!! They are from Northern China and speak Mandarin and some English. Today, a sailboat came down the Danube. An about 27 foot catamaran, with the mast up. They flew the Romanian courtesy flag but not a national ensign, they might have been local Danube country travelers. This is the first yacht I have seen since I started working on the boat. The Bosch orbital sander, quit on me, yesterday. I took it apart, and “with a little help from my friends”, it’s as good as new. Tuesday morning: It has been steadily raining since dawn. No sense trying to work on the boat. It will be a mud puddle but the good thing is that it will have washed the sanding dust away. I have no good access to a hose. I’ll do my internet chores this morning, instead of my evening routine with having dinner in town. Since I’ll be having the barbecue dinner with the camp overseers anyway. 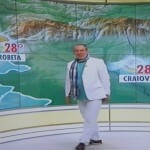 Romanian Television: One of the weirdest shows are the weather forecasts. The presenter wear the oddest outfits. The heavy set man, comes on in all red or all white, with the strangest ornaments. For the rest it seems to be a steady routine of car accidents in all their macabre closeups, heavy set older bald politicians with dark sunglasses, soccer stars showing off their new trophy girlfriend where little is hidden except the eyes with the same dark sunglasses. That is a 7 barge combination coming up river with Coking Coal for the German steel mills. The maligned Rotary Disc sander decided to have a second life. I managed to get a fair amount of sanding done with it and it has not quit once. But it is out of balance and scary to use. 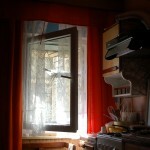 But I’ll postpone going across to Bulgaria tomortrow searching for a replacement. The topsides, hull, has now been fully prepped and sanded. And I managed to get more of the underwater portion done as well, between the chisel, angle grinder and the two dicey sanders. The weather was good, for getting work done. A fog cleared off around 10. Fog is an opportunity for pictures. I made a new friend here at the hotel. An hour ago, Jiel van Aartrijk is a 69 year old retired teacher from Woudrichem, near kasteel Loevenstein, on the Waal, near Gorinchem, where I sailed past the Monday before Easter on “Glissando”. He is on a bicycle trip from the source of the Danube, in the Black Forest, to the Black Sea in Constanza. I’ll have his name tomorrow. We are going to dinner now, together. The little I heard sofar, I think that we will want to meet again. One thing I know, even with the back breaking maintenance I am doing every other year, I’ll buy a wooden boat again, any time. “Fleetwood” in other than wood, steel or aluminum wood have never made it through being crushed between two Rhine barges in the first lock I accidentally ended entering in the wrong sequence. She was dropped on her side from a three story high wave in the Mozambique Channel. Collided with an anchored fishing vessel on the Vietnamese coast, hit a number of nasty rocks and reefs. Right here on the Danube an inexperienced rescue tow did everything possible to tear her apart while trying to tow her off a sandbank. I quit early today. To try and tie up a few things on the last working day of the week, at the internet connection. It was hot again. I plan make a ferry boat crossing to Swishtov on Sunday. The early Sunday market might have a replacement for my disc sander. 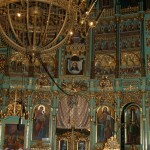 And it is the only place where I have been able to go to communion in the Orthodox church, last October. There must be a big to do at the Zim Tub/ Ingter Agra complex, where I am working on the boat, this weekend. They have been working the last ten days in sprucing up the entrance to the plant. A new arch was created over the entrance gate. The mansion for the visiting owner, Mr. Nicola, next to the plant was upgraded, large life potted trees were hauled in. The 3 mile road from town to the plant was totally repaved. It is now the only stretch of road in the province were you can get your car into higher than 3rd gear. And I tell you, there is going to be a lot of road kill, because everyone is now coming out to have a go at it. This afternoon the local firetruck landed a hand in washing down the entry road to the plant. There was still a long line of men and women day laborers with brooms and shovels being hired. I’ll be sure to inspect the crane slings when “Fleetwood” descends the 100 odd feet to the Danube, when I’m done with this maintenance job. This morning the “Groote Beer” ( www.cometosea.us/albums/GrooteBeer.htm) dropped 4 meters on top of a car in Elburg. The crane that was relaunching her after a winter’s overhaul apparently broke a sling. No body was hurt. It was a perfect day to work on the boat. A cool easterly blew all day and I could work on the sunny side and have the sanding dust blow the right direction. But it is a frustrating slow process. If the boat could have been pressure washed when it was put ashore I could have saved at least 50 hours of back breaking work. I have to hand chisel the Danube clay/cement off the bottom. It clogs up the sandpaper and without the Porter Cable orbital disc sander I have no tool power full enough. I tried the new angle grinder but that is just overkill and if I am not very careful it will grind right through the plywood. I may just have to bite the bullet and spend another $250 on an orbital disc sander. The Bosch flat orbital sander that I bought in Durban is going the same way as the Porter Cable tool. It makes weird sounds and then slows down and quits. I checked the carbon brushes. So that makes three of my must have tools that have gone south, in the worst spot I could have chosen. I use the hotel where I stayed the first 11 days for my internet and dinner. There is a big party going on tonight for the Lyceum graduates. Glad I am not sleeping here tonight. 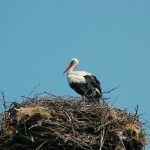 A Stork on our way back from Alexandria, last Tuesday. “Groote Beer” this morning in Elburg. Normally a boat is supposed to have a crush on Champagne at launch time. Yesterday’s visit to Alexandria whetted my appetite further to see more of this country. So far I have only seen the southern edge of the country, 1075 k.m. 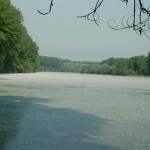 (650 miles), a third of the total length of the Danube forms the southern border of Romania. The whole country can fit into the state of Oregon. Alexandria is 28 miles north of Zimnicea. The car ride with Camelia and Alex took us through rich farm land. Wheat, corn, soya beans, vineyards, water melon fields. From the air, when I flew in from Amsterdam, you notice it even more. There are no farms in the farmland. The farmers have to travel from the villages to tend the fields. This is a left over from Ceausescu time. He made all the farmers move into towns and villages and tore the farms down. Similar to the cooperate farms in Russia under the Communist regime. 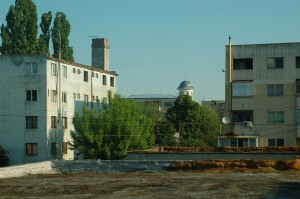 Much of the farm land has been bought up, after the 1989 fall of Ceausescu, by large operators, like Inter-Agro, which is the principal employer for this town. Transylvania, Count Dracula’s country, in the North is quite different, more mountainous and more industrial the standard of living is slightly better than this southern part of Romania. Camelia and Alex spent less time in Alexandria than expected and I had just enough time to see the interior of the Orthodox cathedral of Saint Alexander. An impressive monument. 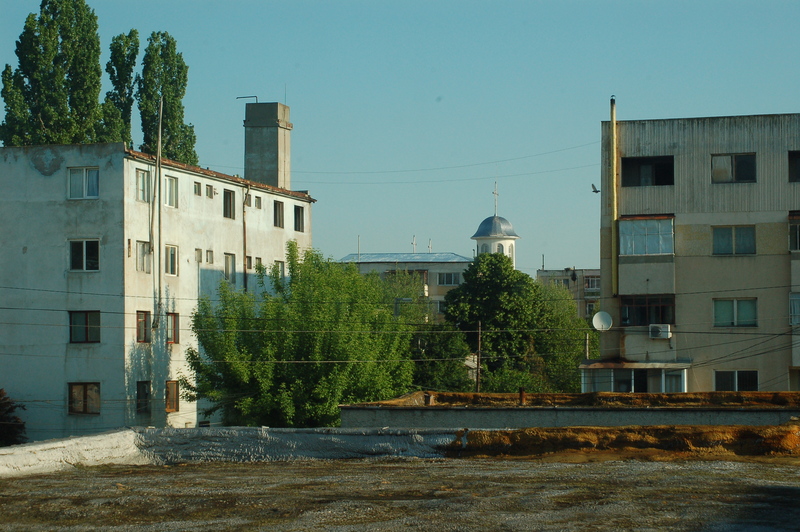 Then they took me to see the Gypsie town of Buzescu. 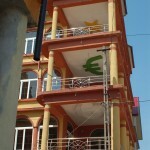 This is where the Romanian Roma show off their acquired wealth. It is hard to describe but the pictures will tell. It is one long street, with wall to wall palaces, with lots of glitter and marble. But there is hardly an occupant in any of them. The owners are still busy accumulating wealth on the piazzas of Italy, the Champs Elysee, etc. They have truly taken full advantage of the open European borders and the Euro economy. For those of you who have ever been in British Columbia, it reminds me of some of the large ornate Punjab Palaces in the Fraser Valley. 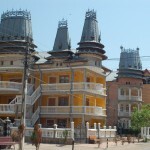 Similar wrought iron work, bright red roofs. And they tell me here that is the part of Asia the Roma came from. The Almighty Euro. A snub at the Dollar? The Monday after May 22nd. Jacob D. van Ommen, 4516 Greendell Rd, Chesapeake, Va 23321. I will acknowledge each deposit and Marinus Hoogendoorn will also add his response. I am beat. Right now I am having a cold Golden Brau brewsky in the second option for a possible wireless connection. No luck here either. I worked till 5 p.m. Because of the heat I have a routine to work on the shady side of the boat. Morning starboard, afternoon port side. Whenever I sand down to bare wood I need to get epoxy on it before the late afternoon thunderstorms. I leave work on the bottom and engine for a rainy day. The six months behind the laptop and eating too much at the Thanksgiving and Christmas holidays are an extra challenge but I am slowly getting back in shape again. quit and buy a bus ticket to Turkey. I had a break. Toma, the boatbuilder here, told me that there is no charge for extracting the shaft bearing. This was at least a 16 man hour job, making up the extraction tool and getting the bearing out of the shaft log. Probably, this is a complimentary job, for the fact that they never moved the boat inside the hangar, as was promised. Toma is also machining my folding prop which has become very sloppy in the 30 years of it’s life time. 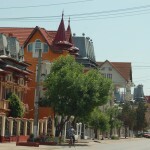 Zimnicea remained without internet since Sunday evening. It is Tueday morning and I am in Alexandria, the nearest bigger city. Camelia and Alex, the physical education teacher at her school, drove me here. They have some school business and shopping to do before they leave tonight for Bucarest to catch their flight on early Wednesday morning to Sweden. We will stop at a Gypsy village on the way back to Zimnicea. This is a real colorful affaire, I have been promised, be sure to catch the pictures on the next blog. 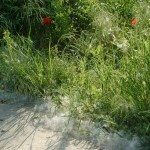 The below pictures show the Cottonwood seed fluff from the plantations along the Danube. Sunday May 22nd. Judgement Day? the birthday for my sister, a son in law and a good friend, tomorrow my # 2 grandson and a cruising friend. crow colony in the tall Poplars around the holiday camp. In the late evening the Nightingales sing me to sleep. The locust trees are blooming, white flowers like golden chain tree blooms, they give off a wonderful scent, like jasmine. The cottonwoods are shedding their woolly fluff, the lake I pass on the way to the boat is covered with a thin white sheen like snow. It has been warm and sunny during the day, cool at night, nearly every day this week, a thunderstorm moves through in the early evening. It is often accompanied by heavy wind and violent lightning strikes. But it lasts but an hour or so. I have no electricity this weekend and have done the handwork chores on the boat; peeling the name decals off the hull, a tedious job, scraping the loose paint on the bottom. Friday night I got little sleep. There was a very noisy party in the club house that lasted till sunrise. I was afraid that the nightingales would have left the area for Bulgaria. some groceries and find a wireless connection. I would go and hear what the local orthodox priest has to preach about the rapture, if I could understand him. There is a Bethel Baptist church in town but I’m afraid I’d really be lost there. I’m not sure when I can show you the inside of a church next. The problem I reported about my #1 boat refinishing tool, the Porter Cable orbital disc sander, turned out to be a 3 amp fuse for the 110 volt transformer. But there is another problem with it. It is out of balance and scary to use. A new one here is a major expense. And 6 inch pads, for which I have a good supply of stick on discs, are tough to find, most are now 5”. This will slow me down, with what I have to work with. So, that’s the news from Lake Wobegon, where all the women are strong and all the men are good looking. ALPES D’HUEZ challenge: Thanks for those who have responded. The rest of you who waited to find out what May 22nd would bring, open your purses, please! I have a favor to ask you for a very good friend and a very worthwhile cause. 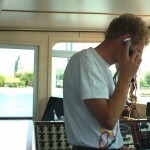 My friend is Marinus Hoogendoorn, the barge skipper who towed me up the Rhine last July. The cause is the Fight Against Cancer. Consider this as similar to your response to a local National Public Radio fund raiser, your way to acknowledge the travel log I have been providing you, since my 2005 departure. An appeal to your generosity. I do not need to elaborate on the cause. Marinus and I met in January 2009 in the U.S. Virgin Islands. He was chartering to St. Martin. When he heard of my wish to descend the Danube to the Black Sea, he offered to tow me the difficult part of the upstream Rhine portion. And he did. I would not be here in Romania if it were not for his generosity. For those who did not follow me on the web blog last July, when Marinus towed me from Lobith to Koblenz, I repeat a few of those pictures. 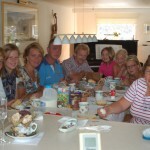 That weekend with the Hoogendoorn family stands out as a highlight in my voyage. They are fully committed consequential Christians. 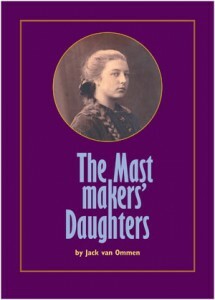 The way I was brought up and the way I remember my parents and grandparents and what I find has gone missing in myself and most of Holland. They, and a part of the Dutch commercial barge fleet, stay put for the Sabbath. We happened to be in Duesseldorf on that Sunday. 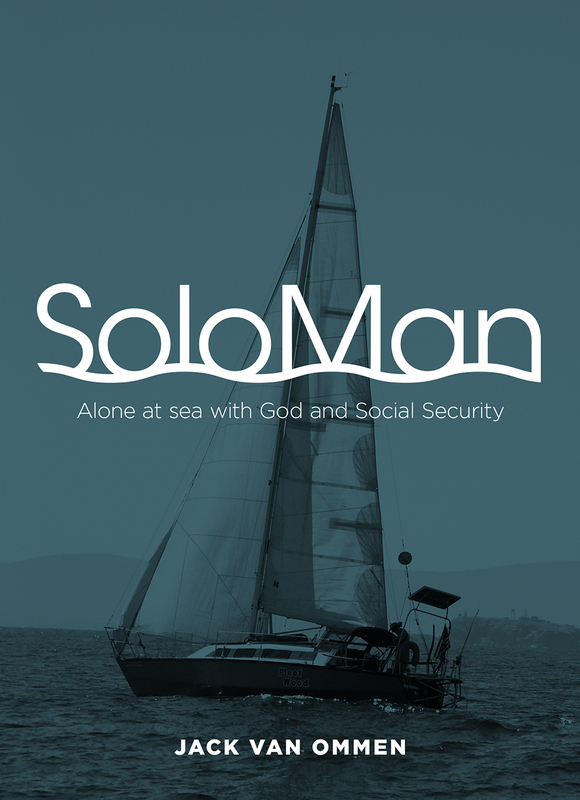 It was a day with family and reflection together by way of a recorded church service, swimming and water-skiing. Two months after I met Marinus, March 2009, Lenie Hoogendoorn, his wife, was diagnosed with breast cancer. She went successfully through chemo therapy and is now in remission. In gratitude Marinus and his 11 year old daughter Marilene have accepted the challenge to raise money for the fight against cancer in climbing the Alpe d’Huez. The Alpe d’Huez, in the Western Swiss Alps, is the most gruelling ascent in the annual Tour de France bicycle race. The ascent covers a distance of 9 miles (14 k.m.) with a rise in elevation of 3,600 feet ( 1100 meters). The majority of the 5000 participants will be doing this just as the Tour de France, on bicycle. The Hoogendoorns will join a smaller group who will hike this distance. Marinus will do the hike twice, the second time with his 9 month old grandson in his back carrier. When I was aboard the “Glissando”, just after Easter, Marinus was training right in the wheelhouse, while underway, on his tread mill and a 30 pound backpack. This is a team effort of a group of other Dutch barge crews. En voor Marilene at: http://deelnemers.alpe-dhuzes.nl/acties/marilenehoogendoorn/marilene-hoogendoorn/donationpromise.aspx. This is just one heart warming determined little lady!!!! You should be able to get a good translation from these two sites by using Bing or Google translator. Yes, I support this action! Fields marked with * are mandatory. Since the only way to donate is from an Euro account I will pay for you from my Euro account whatever you pledge. The event takes place on June 8 and 9. And if you add my e-mail address, separated by a comma, to your address in the pledge I will receive the same notification as you will after the successful ascents. Then you can pay me the Dollar amount to my Bank of America account. Those of you with Euro accounts can pledge or make a straight donation. Or if you just rather make a donation straight to my account: Jacob D. van Ommen, Bank of America, Chesapeake, Va, A/C # 435005984563 I will make the transfer from my account. Sunday dinner aboard “Glissando” last July. Marilene in pink next to dad, Lenie far right. Sunday May 15. I dig my new digs at the Danube dike. I am the only guest in the sumercamp that will soon welcome hundreds of vacationing children. 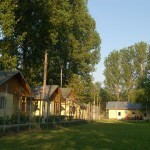 The individual cabins have a large room with 12 beds and two rooms with each two beds. For the camp leaders/chaperones. Marian and his wife just moved in again and are getting the camp ready for the Philistines. There is a large shower room. All in all this is a step up from my downtown hotel. Very quiet, when the dogs stopped barking, after midnight. 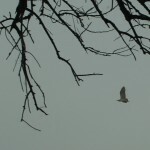 Then an occasional Owl call. In the morning I woke up to Coocooks, Crows. From 7.30 a.m. the firecracker machine starts, up the road a ways, to scare the Cormorants off, the pests of the fishermen. I brought my espresso pot from the boat and can have a good cup of coffee in Marian’s kitchen. For internet I have to go to a downtown cafe. The transformer to get me 120 Volt, for the rest of the world, from 220 Volt, blew a 3 amp Fuse and it has me searching all over Romania to find this fuse. In the meantime I am down to just the flat rectangular orbital Bosch (220 Volt) sander. I was able to get power today. After going through about 10 sheets of the crappy Brazilian sandpaper on the clamp on sander pad, I had another true flash of my well known ingenuity. Why not use the contact adhesive that I use to fasten the circular sanding pads on the, broken down, disc sander? So, then I got a lot of sanding done. It was in the eighties today. Thank God for bringing knee pads, because the black caulking seems on the deck burn holes in the bare knees. I saved this for Friday the 13th. 3 days ago, after being here a week, I found out that my Hotel rate has gone up by 550%. From $ 9 to $ 50. Granted that the $ 9.00 was a steal. This was arranged by the manager of Zim Tub, where I am hauled out. The Hotel also belonged to Zim Tub. But things move fast in Romania. The director of Zim Tub has been replaced and the hotel was sold. There was a rate schedule posted when I checked in but for me to read it I would have needed to jump over the desk or have my binoculars around my neck. The hotel called my friend and interpreter Camelia to bring me the bad news. My daily Social Security check leaves me $ 5.00 after paying the $ 50.00 hotel rate. Camelia has been trying to find me a rental room, but no luck yet. So, I just told the desk that I am moving out tomorrow. I can sleep, cook on the boat. Showers, internet, etc., might be a bit of a compromise. But the view from “Fleetwood” on the Danube is a whole lot better, judging by the below picture and the picture earlier in the week. When I was paying $9 here in November, I did not mind that I had to make my own bed and have the sheets and towels changed once a week, short showers in almost cold water. But now I have hot water in the evening only and I take my revenge instead of worrying that I’d bankrupt the place. Today was a a gorgeous day, in the mid seventies. It is supposed to get into the eighties this weekend. Wednesday thunderstorms, yesterday clear blue skies and then black clouds and heavy showers. I had sanded parts of the clear finished transom and I had to quickly cover it with plastic. The dirt roads became a mud bath. The stray junk yard dogs on my heels trying to outpeddal them had the wheels spray cover me with the Danube clay. Every evening Camelia cooks me dinner. She is a fabulous cook, I am particularly fond of her mixed salads. Romania has the best fresh vegetables assortment. Progress is slow. My favorite disc sander, Porter Cable orbital, broke down and there are just no parts/repairs available here. I spent the morning on making up a new part and then it turned out that the motor had shorted out. Monday my grinder burnt out, Toma, the boat builder here, took it to fix and I have not seen him since. I bought two packs of 80 grit open face sandpaper in Sneek. Do not ever buy Brazilian sandpaper from Nestor! The backing is one step up from toilet paper. It lasts 1 minute in the orbital sander. And I am up the creek here trying to find replacements. When I tried to disassemble the Vetus engine cockpit controls, in order to refinish the cockpit, a cast aluminum part busted. I do not understand how a brand like VETUS sells me an expensive contraption that is used in the cockpit exposed to the elements with dissimilar metals like steel and aluminum. What a difference an evening makes. I just came back from dinner at Camelia. She came to the rescue again. She has made arrangements for me at the summer camp, half way between the port and Zimnicea. I can stay there for $ 7.00 a day. It is very basic with a bed and shower. I will give more details after tomorrow. A friend of her, Stefan, will come at 9 in the morning with a car and help me move my gear from the hotel. In 3 weeks the childrens summer camps start and I may need to find other arrangements again. But by then I should be close to launching again. The warm weather has brought the whole town out in the streets and the park. Men having a beer. Children playing. Teenagers parading. The moon is getting close to full.